Engineering firm 4site utilises a combination of fibre and wireless technologies to provide solutions for major infrastructural developments in the domestic and global telecommunications industry. Headquartered in Limerick in Ireland, and with offices in Dublin and the UK, 4site is focusing on expansion and, given the company’s unique capabilities and impressive track record, it’s no surprise that it is generating international interest. According to the 2018 Ericsson Mobility Report, the popularity of streaming video, social networking and the Internet of Things is driving demand for connectivity. Fibre optic cables enable 5G and provide vastly improved mobile voice and data coverage. In 2018, 4site secured a contract with UK blue chip firm CityFibre to survey and design the rollout of their fibre networks across a number of cities in the UK. CityFibre has ambitious plans to provide FTTH to five million homes across 12 UK cities, and 4site is a key supplier for the activity. Last year, 4site provided survey, design and build services to develop a 5G-ready network for the Scottish city of Aberdeen. 4site also fitted a network of ‘small cell’ sites connected to existing fibre and power services. Small cells are unobtrusive and cost-effective installations, ensuring excellent wireless and mobile phone coverage particularly suited to densely populated urban environments. 4site has developed innovative design technologies to achieve fast, accurate and cost-effective network rollout. Delays or mistakes at any point can prove costly. With this in mind, 4site has pioneered the ‘4Survey’ app developed in partnership with Esri, the international supplier of geographic information software. No more marking maps by hand, taking photos on a handheld device and filling in spreadsheets, which are then taken separately to a central office. The app does it all, transferring complex survey data straight to the design team via the internet. The survey process is now 50% faster, as well as more accurate and cost-effective. 4site also makes use of drone and BIM technology in-site surveys to highlight solutions not readily available from ground level – for example, carrying out an asset inventory check on a 40 meter tower, gauging the safety of a rooftop before accessing it, or eliminating the need for permits and mobile platforms at the roadside. Cost and disruption are kept to a minimum, while health and safety risks are minimised by reducing the need for working at height. With over a decade’s experience of major network infrastructure projects, 4site has acquired a reputation for excellence. This year, they were only the second Irish company accepted to the FTTH Council of Europe. They have also achieved ISO certification in environmental management, quality management, and health and safety, as well as acquiring a list of major clients including Vodafone, Cignal, Huawei, Three, Nokia, Ericsson, O2, Eir and Siro. The advice and support of Enterprise Ireland, the Irish government’s trade and innovation agency, has been key to 4site’s growth. Europe is only just beginning to promote fibre networks with countries such as the UK, Ireland, Italy and Germany trailing behind. According to the 2017 FTTH Ultrafast Broadband Country Ranking the UK has approximately 3% coverage. The market potential therefore is vast. Recruiting the best fibre planners of the future is crucial to 4site’s success. Responding to this challenge, 4site invested over €250,000 in establishing a Fibre Centre of Excellence at their Limerick HQ in 2018, creating 20 new engineering posts. The business now employs 80+ highly skilled professionals, the majority of which are qualified engineers and technicians. Enterprise Ireland’s support helped expand the number of employees and establish an in-house Fibre Planning Programme tailored to the skills 4site requires. Employees are mentored, attend weekly training sessions and are encouraged to contribute new ideas through an Innovation Forum. In 2018, Engineers Ireland acknowledged 4site’s excellence in CPD through its Accredited Employer Scheme. With innovative technology, the brightest engineering graduates and a track record of successful projects delivered on time and on budget, 4site are going global. 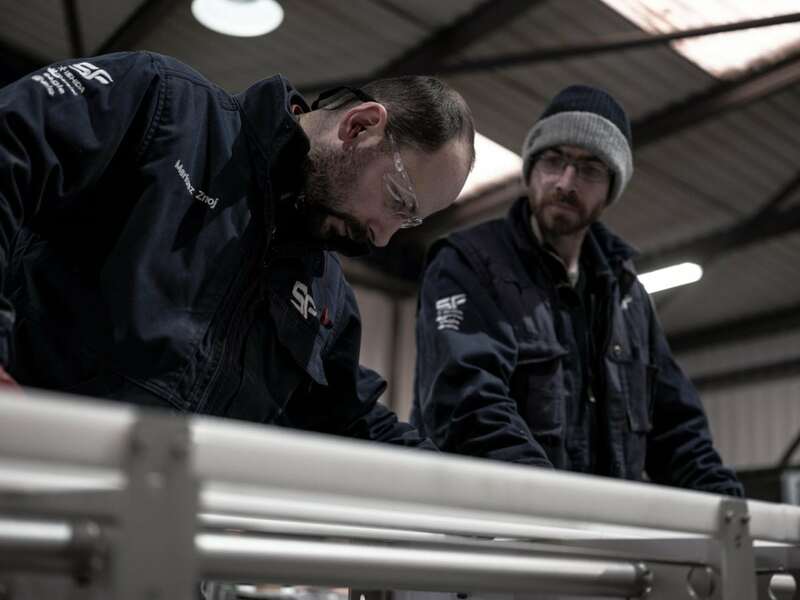 From its base in County Sligo in the west of Ireland, SF Engineering designs, manufactures and installs high-quality food production lines for customers around the world. The highly innovative company employs process design expertise that enables it to specify highly efficient food production lines that reduce costs, increase capacity and require less maintenance than competitor systems. Since 1983, the company has installed €250 million worth of projects in 63 countries across Europe, North and South America, Russia, the Middle East, and Australia. Today, SF Engineering employs 110 high-skilled staff in Ireland, the UK, and the Czech Republic, and is projecting €20 million in sales for the coming year. New business comes from a combination of continuing relationships with existing customers, sales and marketing efforts around the world through direct contact with potential customers, presence at trade fairs, and through referrals from partners. “We form great partnerships with companies like Ishida, Eagle, CEIA, and Marelec,” he points out. Ishida is a leading supplier of automated weighing and packaging equipment and solutions for the food industry with multiple capabilities to ensure the safety and integrity of a wide variety of food applications. Eagle specialises in fat analysing equipment. Marelec Food Technologies has been active in the fishing world since 1983, while CEIA is a world-leading manufacturer of electronic screening equipment, with SF Engineering supplying its range of metal detection systems, which are designed to detect contaminants in the food production chain. “We started forming these partnerships back in the early 2000s and they have been very important to us. They allow us to combine complementary strengths in different areas to supply turnkey solutions to the global food industry,” Farrell adds. 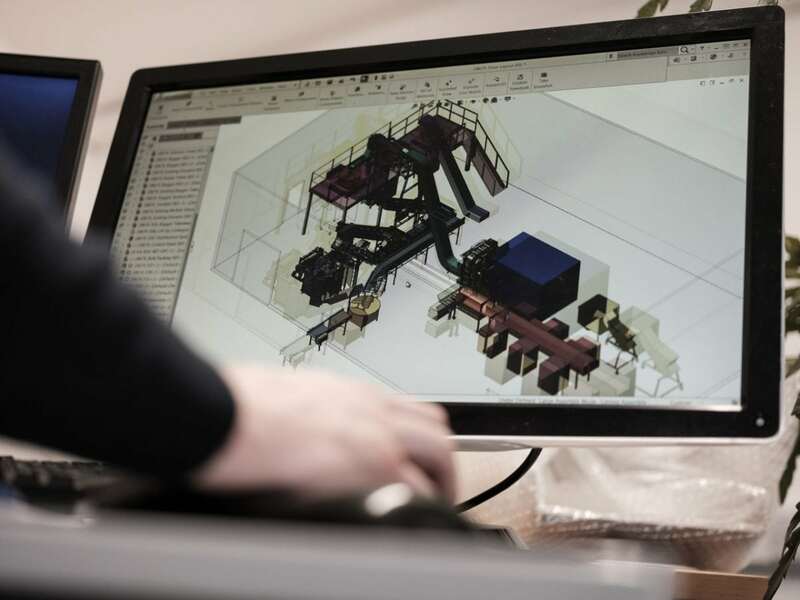 SF Engineering has its roots in the engineering sector, to provide high-quality stainless steel fabrication services to US multinational firms which were setting up in Ireland. Seamus Farrell, who grew up in the Sligo area, founded the business in 1983, initially to service the fish sector but subsequently expanded into the red meat and broader food industry, with the focus firmly on protein. Since then, SF Engineering has consistently invested in both new products and processes and today offers a wide range of conveyors, packing solutions, platforms, weighing equipment, fat analysis, quality control, hygiene equipment, lifting and tipping equipment. In addition, the company has invested in world-class manufacturing and lean manufacturing programmes as well as the very latest in laser technologies.